One of the things that really trips people up about setting weight loss goals and being more mindful about eating is that you may often feel like you haven't "earned" your right to a treat or something that you might enjoy. Some people call them "cheat meals" or "cheat foods." I just call 'em things I like in moderation. It's important not to create new unhealthy habits around food as we form new, healthier habits. Food shaming yourself is definitely an unhealthy habit! The other thing we sometimes do to ourselves is what I'll call "relaxation shaming." I'm really guilty of this. If I'm not working out on a particular day because I'm sore or tired, or whatever, I shame myself into thinking I should be doing something. This year, I've focused more on not relaxation shaming myself because I am trying to avoid burning myself out, which I have done more often than I'd ever like to admit. One thing that I like to do on evenings when it's still light out (one of the only good things about daylight savings, in my humble, not-a-morning-person opinion), and weather permitting, is to sit out on my balcony and just take it easy. Sometimes I'll just reflect on my day, other times I'll eat dinner or read a book. The balcony is definitely my zen space, and whatever relaxing thing I'm craving that evening, I'll hop to it. I think it's critical to have an area in your home where you can just feel totally at ease. What's your zen space? I am not a big drinker; in fact, I'm a super lightweight these days! But sometimes, I really do just want to sit on the balcony and drink a beer, and there's no shame in that! Especially when the beer has fewer than 100 calories, am I right? 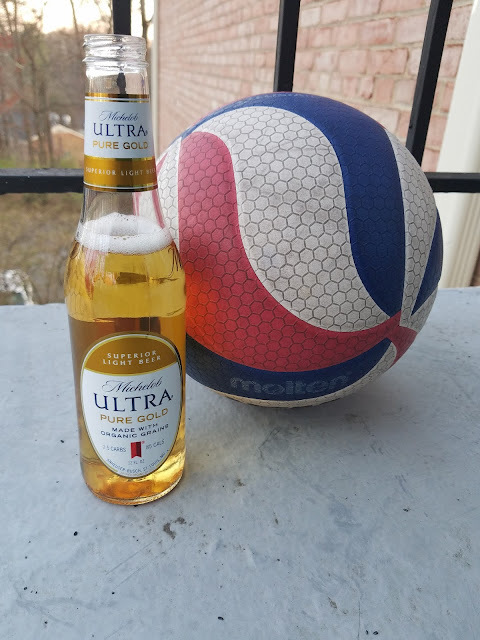 I've been trying out the new Michelob ULTRA Pure Gold, and I'm digging it! It's only 85 calories and has only 2.5 grams of carbs. 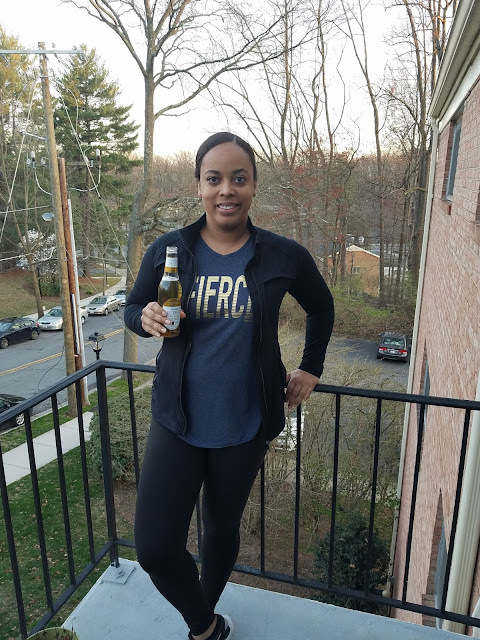 It has a light taste, which is cool and refreshing after a workout or long run. I've been absolutely crushing my weight loss goals, and I've been way more conscious about what I'm putting into my body this year than I have probably the last five years combined -- and we're not even halfway through the year! 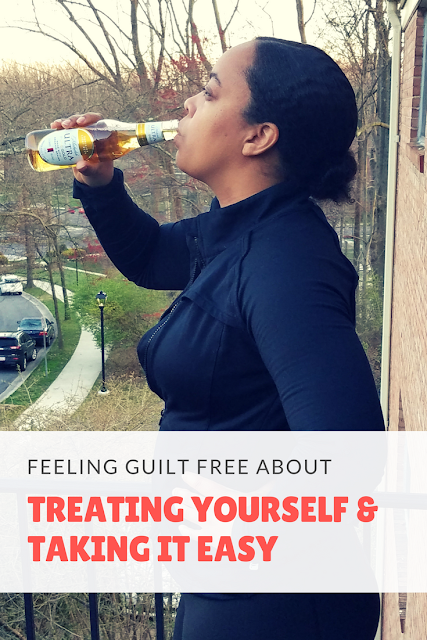 When I'm thinking about how many calories I'm putting into my body versus how many I'm burning through my workouts, I don't want to have to worry about some high-calorie beer throwing me off my game! What's cool about Pure Gold is that it's great for my balcony evenings, but it's also great for cooking! (I made some seriously delicious beer-battered shrimp for dinner the other night.) I like the versatility, low calories, and less guilt! All of this is to say that, when you're focused on you're weightloss goals, don't forget to also focus on what makes you happy! Apply moderation, or find sensible substitutions for things you may be likely to overdo. Another thing not to forget? Take it easy sometimes. Sit down. Gaze out upon the horizon. Hug a loved one. Setting goals and actually hitting them shouldn't make you feel miserable! So don't food shame or relax shame yourself, dear reader. Enjoy your fitness/weightloss journey and have a little fun, will ya?